Brand new electric dryer heating element replaces Whirlpool, Sears, Kenmore, Estate, Roper, Kitchenaid, 279838. Replaces part numbers: AP3094254, 2438, 3398064, 3403585, 8565582, AH334313, EA334313, PS334313. 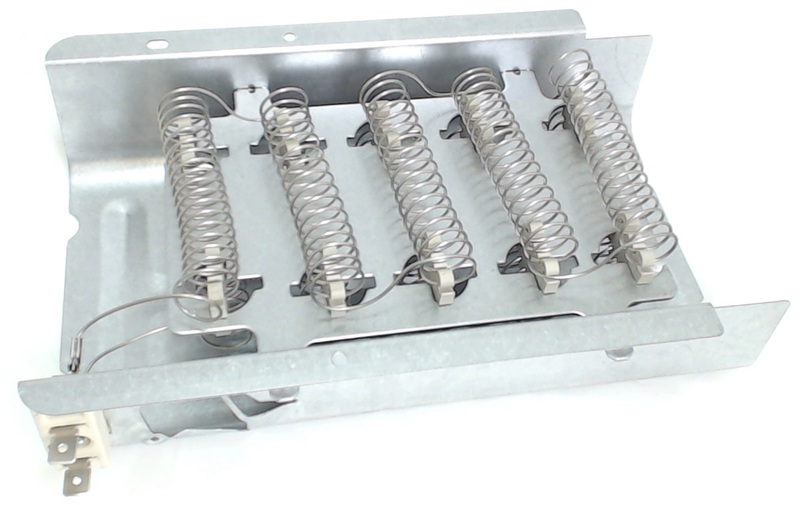 This dryer heating element is rated 240 volts and 5400 watt. Replaces many older styles. When the element burns out, it cannot be repaired and must be replaced. This element is strung with a coiled wire made of a nickel and a chrome alloy. This wire receives, but resists, a controlled electric current and as a result, the wire heats up. The heat produced is used to dry the clothes in your dryer. If you are not sure if this will fit your model, please email us and we will be happy to verify for you.